A two-building Aberdeen, South Dakota, office complex suffered constant sewer line back-ups. Local topography forced the facility’s new 300-foot sewer line into an “essentially flat” connection to city services. Authorities would not pay for a pump, and stoppages simply worsened with time. Enter Aberdeen Plumbing & Heating Services, Inc. with their brawny JM-3055 water jet from General Pipe Cleaners. Aberdeen forged a reputation for excellence in plumbing and drain cleaning services to commercial and residential customers within 75 miles of company offices. Part of the broad range of popular, award-winning Jet-Set® electric, gas and trailer water jets, General’s powerful JM-3055 packs the punch to slice through tough debris, grease, sludge, sand,and ice blockages in long, large drain lines. In fact, General’s muscular machine boasts the highest flow rate of any water jet without a holding tank. A 3000-psi, 5.5 gpm pump driven by a 16 horsepower (480 cc) Briggs Vanguard engine creates a high-pressure water stream that pulverizes problems in large lines up to 8 inches in diameter and long runs up to 600 feet long. Price calls that a “big advantage.” Nozzle thrust drives the hose down long, large-diameter lines and gives wall-to-wall pipe cleaning action. 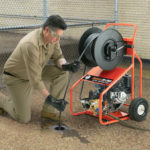 The JM-3055 gas jet can be used to clear clogs from inside line as well when it’s connected to the optional Cart-Reel™. 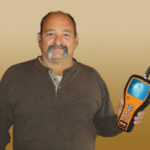 It lets professionals use the power of gas jets in buildings and confined spaces where exhaust fumes can be dangerous. General’s rugged, reliable range of water jets is excellent for use in restaurants, hotels, hospitals, factories, waste treatment plants and septic systems. It’s also great for handling blockages in schools, sports arenas, care facilities, shopping malls, farms and more. General offers an electric, gas or trailer water jet for practically every application. “We regularly use our JM-3055 to clean sewer lines at the county courthouse and county jail,” Rux remarks. “And we’ll shortly use it on drains at a large machining facility.” – a regular Aberdeen drain cleaning customer. A removable, 300-foot capacity hose reel mounts to the heavy-duty tubular frame. A tool box and spray wand come standard with the machine. And a variety of optional Jet-Set nozzles and accessories enhance equipment performance and productivity even more. That’s why Aberdeen’s arsenal includes several more rugged, reliable General drain cleaning solutions, including the Mini-Rooter® and Speedrooter® floor-model cable drain cleaners, a Super-Vee® hand-held machine and hand augers. 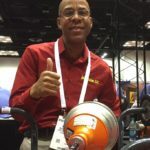 “From customer service, to technical support and equipment performance on the job, General Pipe Cleaners has earned our trust,” Price concludes.